October 30, 1938: On this date, H.G. Well's The War of the World was shown on The Mercury Theater on the Air at 8 p.m. 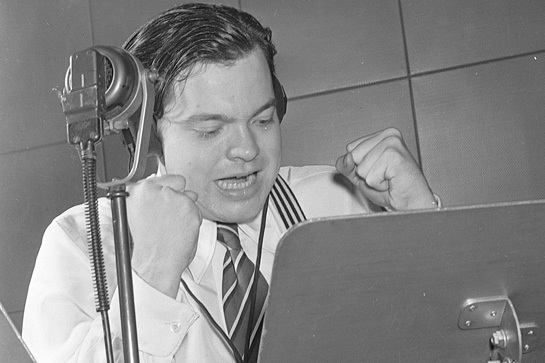 The radio adaptation of this novel made the little known actor and filmmaker Orson Welles famous. He was known previously for providing the voice for title character of The Shadow radio show. The show was delivered in news bulletin form. Due to the manner in which the episode was delivered, some listeners, who failed to hear the introduction, mistakenly thought that it was a real report of an alien invasion. Because of this, in 1975, a docudrama based on those events was made. It was entitled The Night That Panicked America. October 28, 1922: A collegiate football game was aired by WEAF in New York City, coast to coast for the first time on this day. The football radio broadcast saw Princeton matched against the University of Chicago. They played at Stagg Field in the Windy City with the of score 21-8 in Princeton's favor. 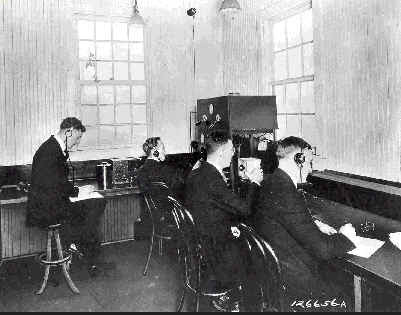 The broadcast was transmitted via phone line to New York City where it was then transmitted by radio. The first football game ever broadcast on the radio was witnessed by 32,000 fans. The game was an important moment in history of broadcast because for the first time AT&T, the owner of WEAF, introduced advertising. In addition, college football games in the 1920s generally were aired without charge for airing rights even as the radio station collected funds from advertising that they aired during the games. The WEAF broadcast of the game was one of the most important moment that affected development of radio and college sports. It was apart of the nationalization of football by making inter-regional competition immediately available to masses through the airwaves with coast to coast broadcasts. October 27, 1920: In 1916, from a garage in the suburb of Wilkinsburg in Pittsburg, PA, an engineer from Westinghouse Electric broadcast music in wireless by using an amateur 8XK radio. This is where it all began. The broadcast was reported widely by the media and the news attracted the attention of the head honchos at Westinghouse, who then decided to build a real radio station. The Westinghouse Radio stations needed a license to broadcast. The U.S. Department of Commerce granted the license to broadcast for the KDKA station. As a permit has been issued officially, they not directly operate KDKA while they waited for the license to broadcast to be sent to the radio station. On November 2, 1920, the radio station aired for the first time when they broadcasted the result of Harding/Cox election. The broadcast reached up to 1,000 listeners from various backgrounds. The name of the Westinghouse Electric engineer was Frank Conrad. He was an assistant chief engineer at Westinghouse. He lacked an academic degree, but he was a radio genius. Westinghouse built KDKA with the purpose of increasing the sale of its radio receiver product, and they succeeded. KDKA was claimed as "the world's first commercially licensed radio station". Following the success of Condrad's broadcast program, Westinghouse increased the power output up to 100 watts on a wavelength of 360 meters. With this power output, the transmitter’s signals could reach homes several hundred miles away. 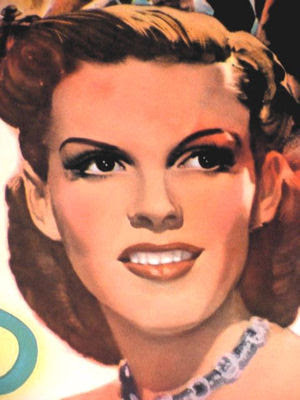 October 26, 1935: One this date, a talented twelve-year-old girl by the name of Judy Garland attracted audiences with her voice when she sang for the first time on Wallace Beery's NBC show. Judy would soon become headline news and a famous star. 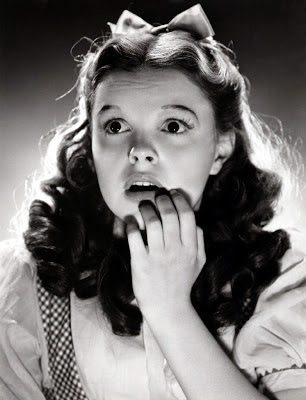 This was only four years before Ms. Garland (George Jessel gave her that name because he thought it would be better than her real name, Frances Gumm) would amaze movie lovers everywhere with her performance in The Wizard of Oz as Dorothy. Frances Ethel Gumm, better known as Judy Garland was born in Grand Rapids, Minnesota in 1922. Her parents were vaudevillians who settled in Grand Rapids to run a movie theater for other vaudeville acts. George Jessel encouraged the group to choose a more appealing name after "Gumm" after it was met with laughter from the audience when they performed at the Oriental Theather. By late 1934, the Gumm Sisters had changed their name to the Garland Sisters. Frances changed her name to "Judy" soon after. Her new name was inspired by a popular Hoagy Carmichael song. In August 1935, they broke up when Suzanne Garland flew to Reno, Nevada and married musician Lee Kahn, a member of the Jimmy Davis orchestra playing at Cal-Neva Lodge, Lake Tahoe. October 25: Happy Birthday, Minnie Pearl! October 22: Happy Birthday, B.A. Rolfe!